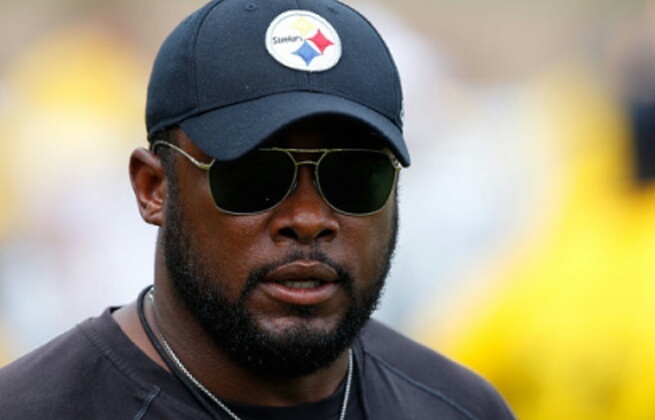 Tomlin Believes Offense Can Top 2014 Season | "IT'S A STEELERS WORLD"! After finishing second in total offense and seventh in scoring last season, head coach Mike Tomlin believes that the Pittsburgh Steelers are capable of being even better in 2015. The Steelers averaged 411.1 yards and 27.3 points per game last season to earn their first AFC North title since 2010, and returning with arguably the best offensive trio in Ben Roethlisberger, Le’Veon Bell and Antonio Brown the feat should be very much obtainable. Now along with Bell, the Steelers also have newly acquired running back DeAngelo Williams, one outside free agent that the Steelers have signed. Which Tomlin said the Carolina Panthers’ all-time leading rusher, still has plenty of burst even though his 32nd birthday is approaching. If that’s really the case then all the Steelers need is a scoring, score stopping defense on the field and they will be unstoppable. I suppose we will just all have to wait and see if defensive coordinator Keith Butler can accomplish that in his first season with the team. Either way it should be an exciting team to watch..as usual.